One of the most popular ways to handle a number of different debts is called consolidating debts, which is to combine all of them into just one payment. And there are a number of ways to accomplish this. The three used most often are a debt management plan, a debt consolidation loan or what is called debt settlement. Each of these has its pros and cons. A debt management plan is where you sit down and create a plan for paying off your debts. It’s something you can do yourself but it can be very difficult. This is why most people choose to go to either a consumer credit counseling agency or a debt consolidation company. A consumer credit counseling agency can be a good choice as it will often provide its services free or for a very low fee. In comparison, a debt consolidation company will charge for its services, which could be anywhere from $10 to $50 a month. Whether you choose a credit counseling agency or a debt consolidation company, it will work with you to create a payment plan and then negotiate with your creditors to get your interest rates reduced and your plan accepted. Once all your creditors have agreed to your plan, you will start sending a check each month to the counseling agency or debt consolidation firm, which then takes responsibility for paying your creditors. The biggest pro of a debt management plan is that you get rid of all your creditors–and any debt collectors that are hassling you–and then have just one check to write every month. However, there are several cons, the biggest of which is that you will have to give up all of your credit cards. And you will have to be very careful about not running up any new debts during the four to five years it will take you to complete your debt management plan. 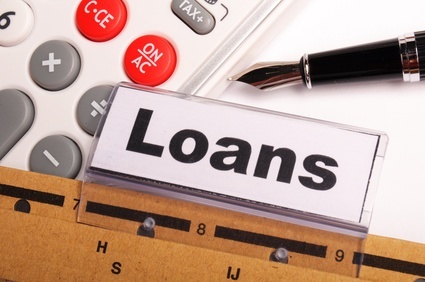 Consolidating debt is fairly simple if you can get a debt consolidation loan. All you need to do is borrow enough money from your bank or credit union to pay off all your creditors. Again, you’ll have just one loan payment per month and you’ll get all those credit card companies off your back. Your loan payment will most likely be less than the total of the minimum monthly payments you’ve been making. But here’s the biggest con, you’ll probably have to get a second mortgage or homeowner’s equity line of credit, which means that if you were to default on the loan, you could lose your home. Debt consolidation loans and debt management plans share a common problem. Neither one does anything to reduce your debt. If you owed $20,000 before the debt management plan or debt consolidation loan, you will still owe $20,000. And as many people have said, you can’t borrow your way out of debt. The one way for consolidating debt where you can actually get your debts reduced is through a program of debt settlement. This is where our debt counselors negotiate with your creditors to get both your interest rates and balances reduced. However, for this to work you will have to have stopped making payments on your credit cards for probably six months. Instead of paying the credit card companies, you send us a payment each month that we put in a trust that only you administer. Once all your creditors have agreed to our settlements, we use that money to pay them off. Because we have been able to get your balances and interest rates reduced–probably dramatically–you should be out of debt in 24 to 48 months. Take the first step today. Call our toll-free number for immediate help. You have nothing to lose but that big cloud of debt hanging over your head.